Set keyboard and mouse A4tech Bloody B1500 will be a great support for each player and computer connoisseur. The keyboard offers five levels of adjustable LED Brightness . AUTO/TURBO allows players to have permanently clasped selected key, for example for the shooting. The keyboard is adjusted, where possible, to withstand accidental spills. The mouse is equipped crackle backlight and two side buttons. The response of all the buttons at just 1 ms, giving you an edge over the competition. 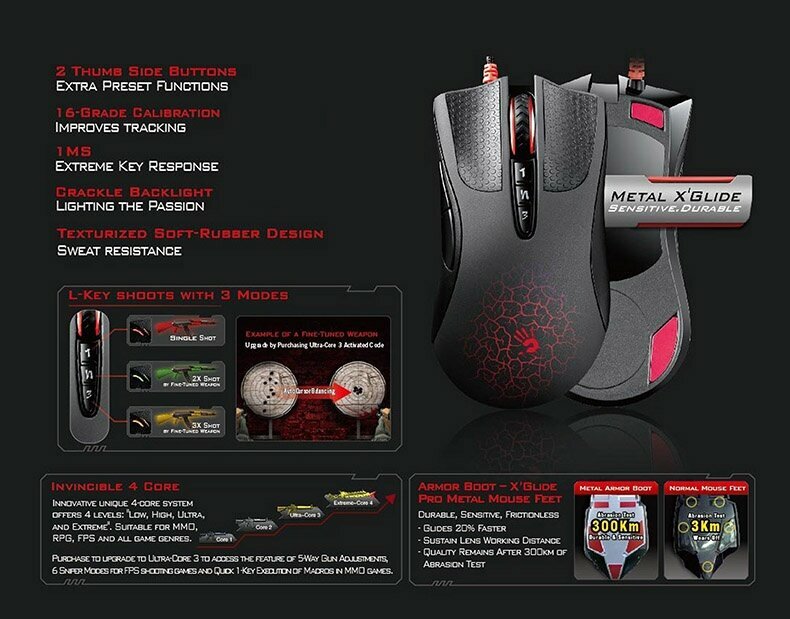 For a more secure grip mouse has rubberized surface. To optimize a particular user is then used Core 2 Software. For a better glide over the surface are packed with metallic pads.